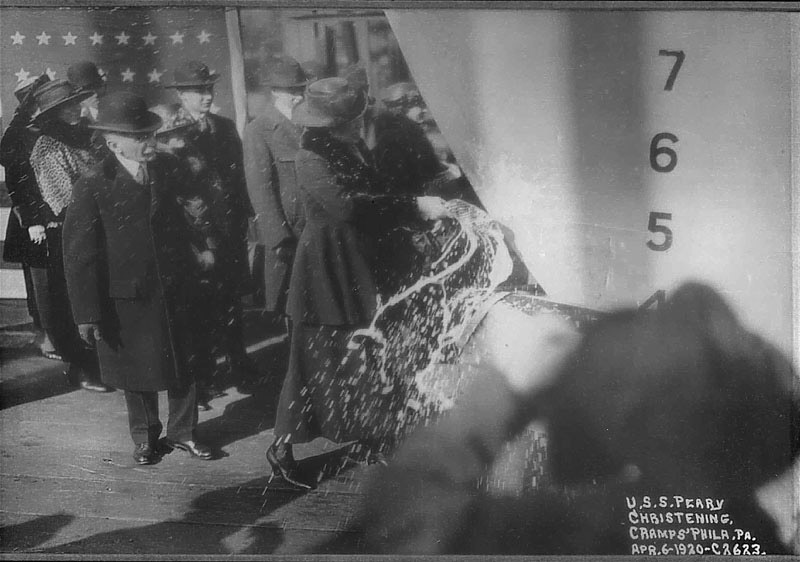 Laid down by Cramp, Philadelphia on September 9 1919. 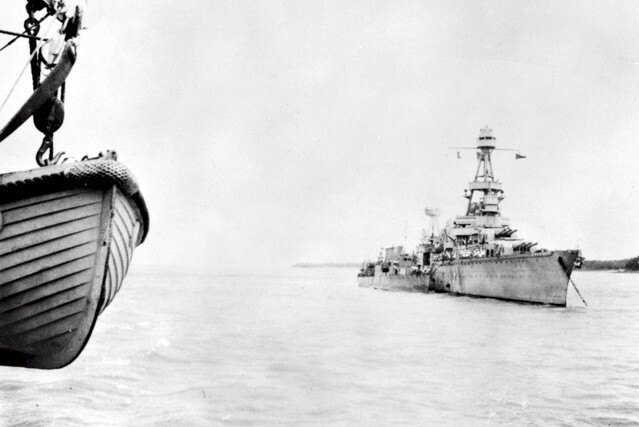 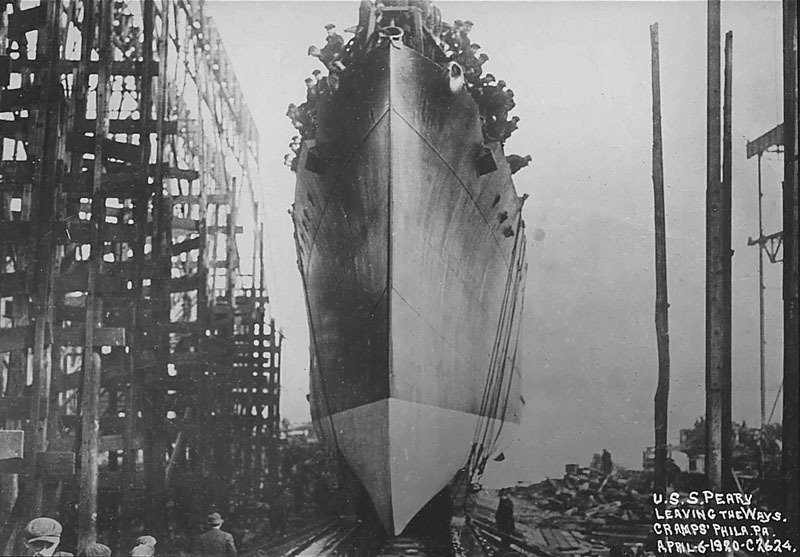 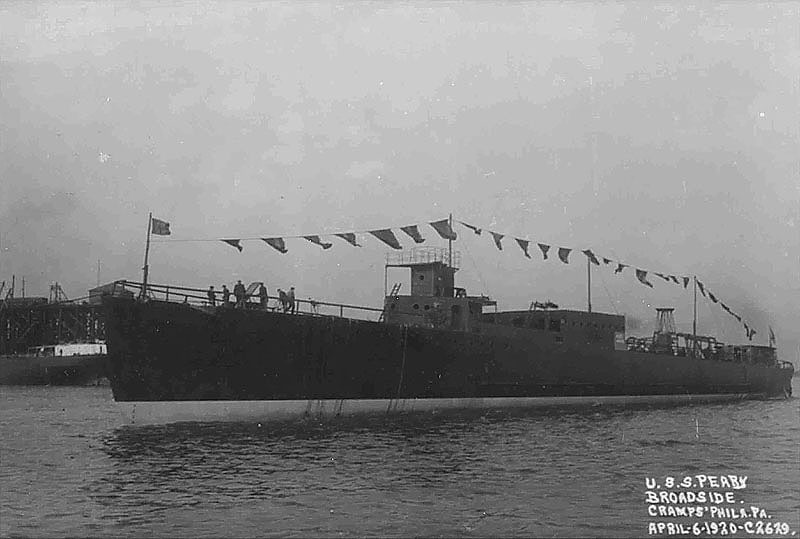 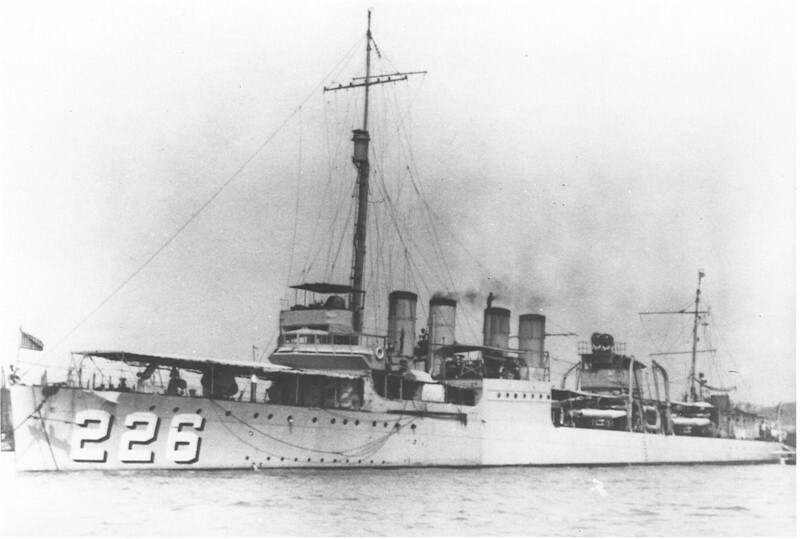 Launched April 6 1920 and Commissioned October 22 1920. 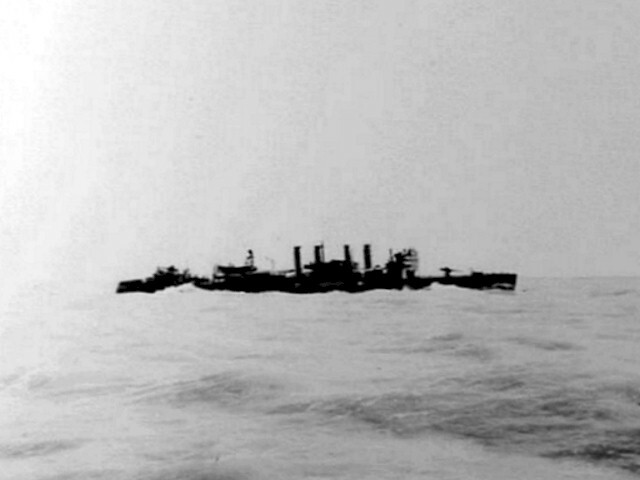 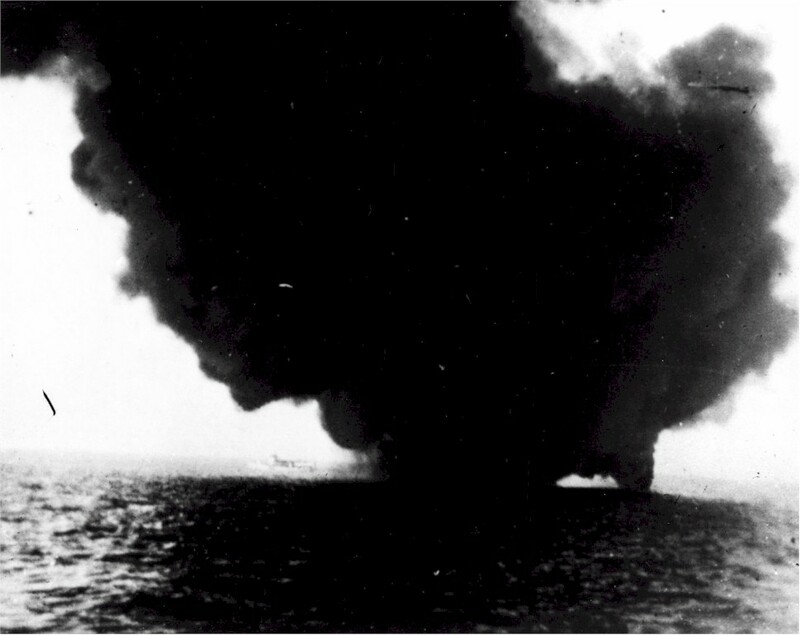 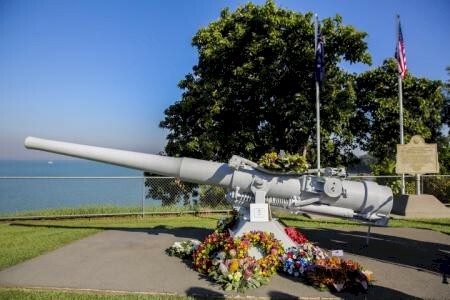 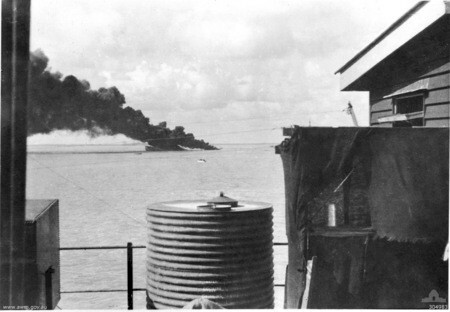 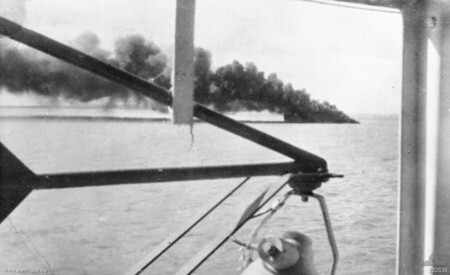 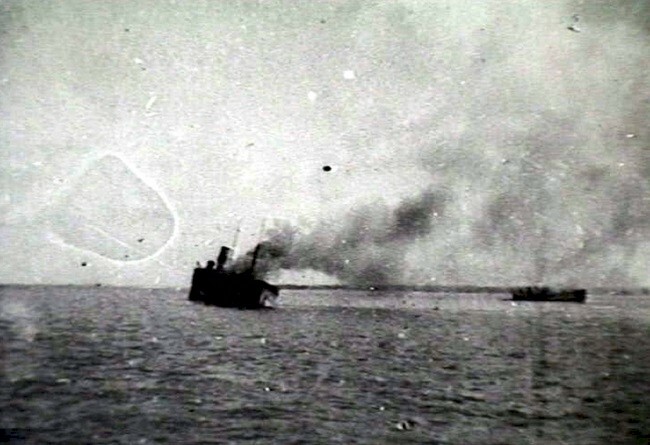 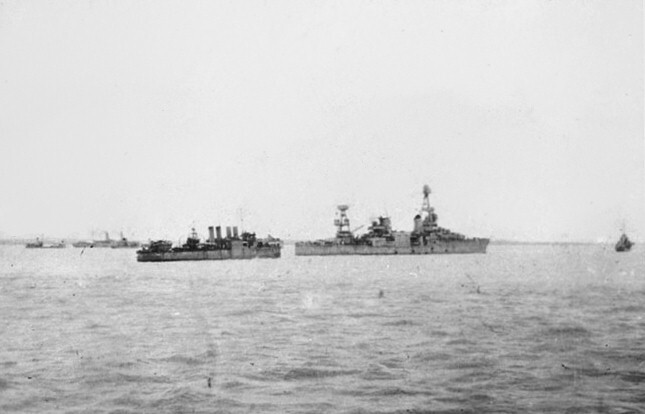 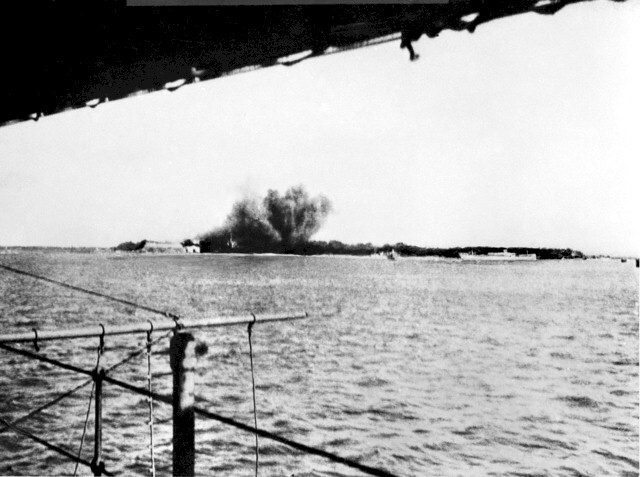 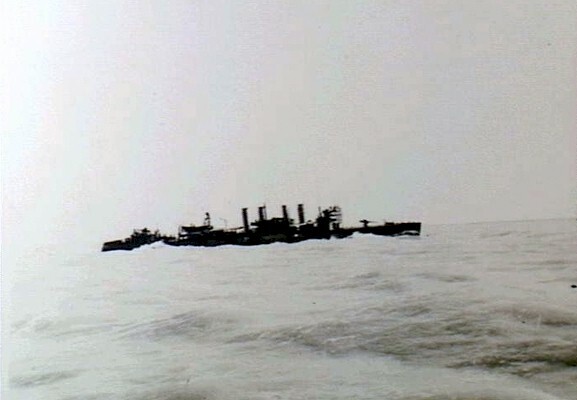 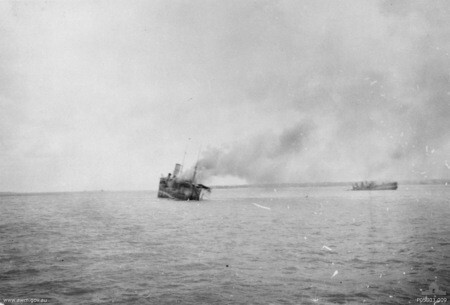 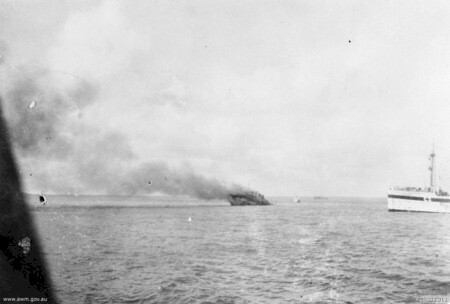 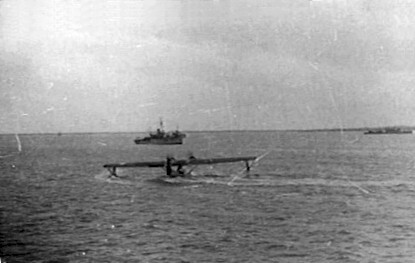 Fate Sunk by Japanese Aircraft while taking on fuel in Darwin Harbor February 19 1942. 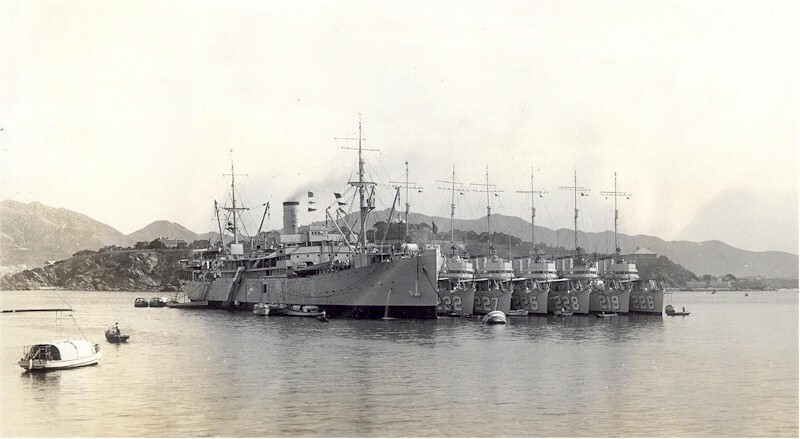 75k Taken June 1933 from the breakwater in Chefoo of the USS Black Hawk (AD-9) with the USS Bulmer (DD-222), USS Pillsbury (DD-227), USS Pope (DD-225), USS Ford (DD-228), USS Edsall (DD-219) and USS Peary (DD-226) alongside. 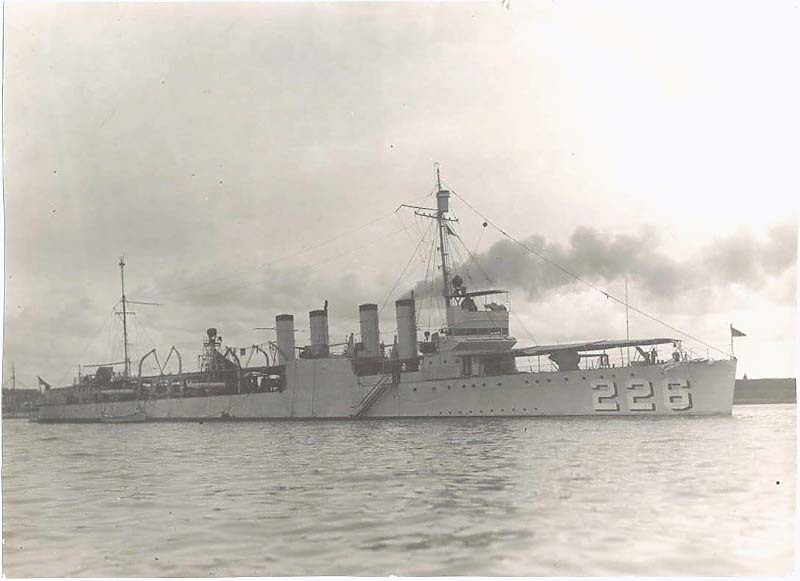 John N. Egeland, Jr.
58k Photo #: NH 94540. 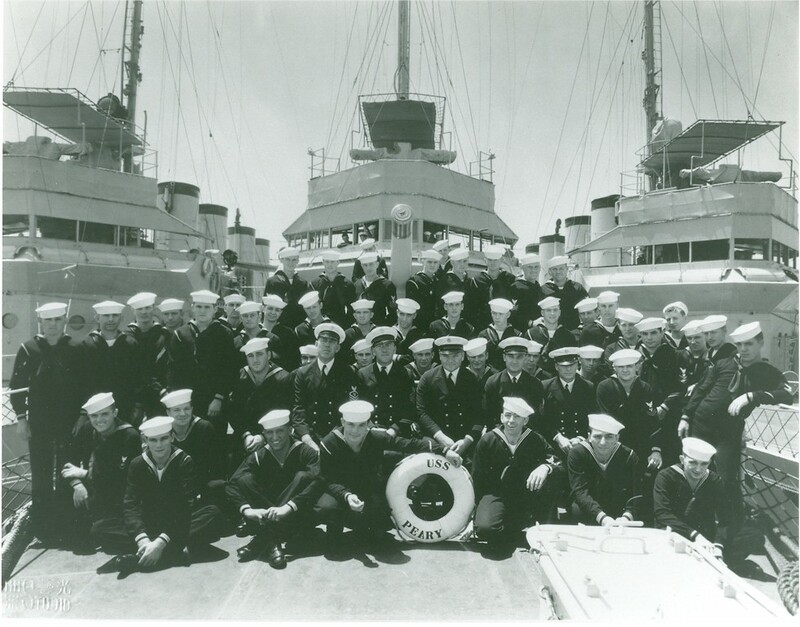 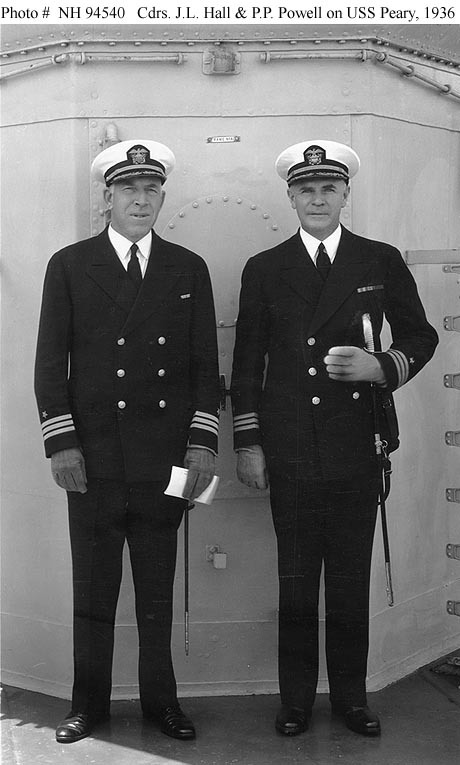 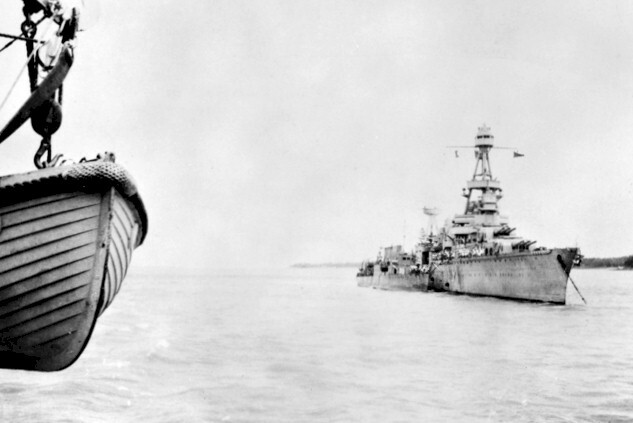 Commander John L. Hall, USN (left), incoming Commander Destroyer Division 15, and Commander Paulus P. Powell, USN, outgoing Commander Destroyer Division 15 onboard the Division flagship, USS Peary (DD-226), in Chinese waters, at the time of the DesDiv15 change of command, June 1936. 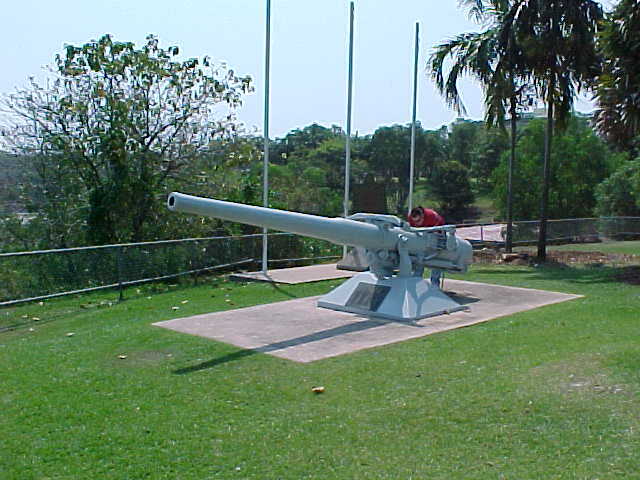 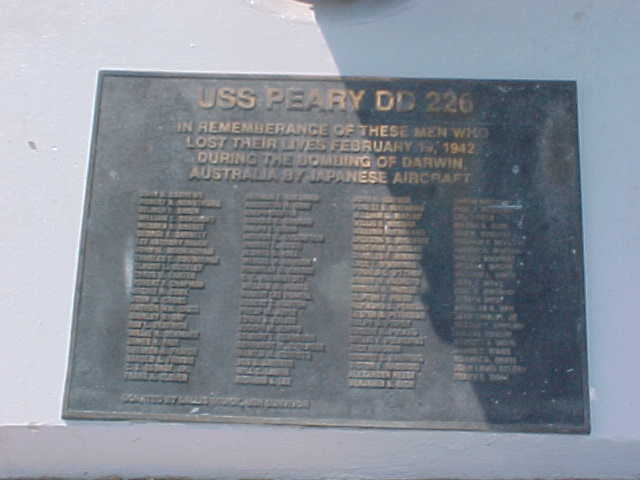 The small brass plaque between them identifies the location on the ship as "Frame No. 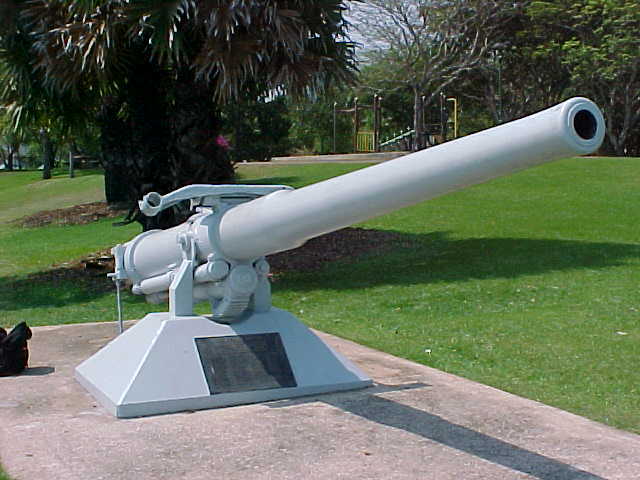 40". 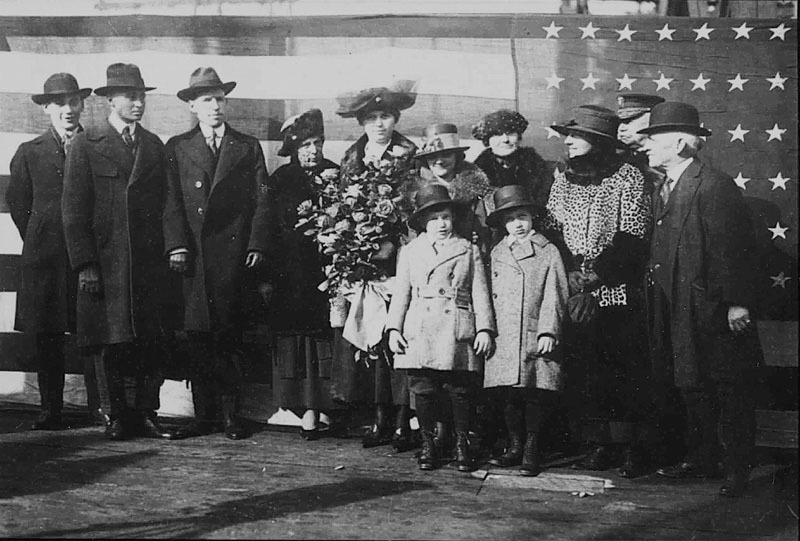 Photographed by the Bann Studio. 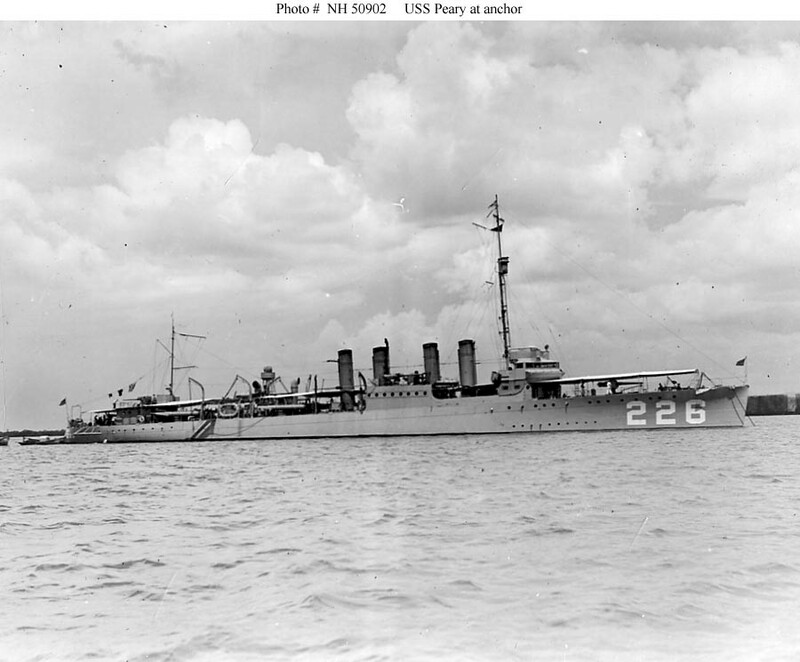 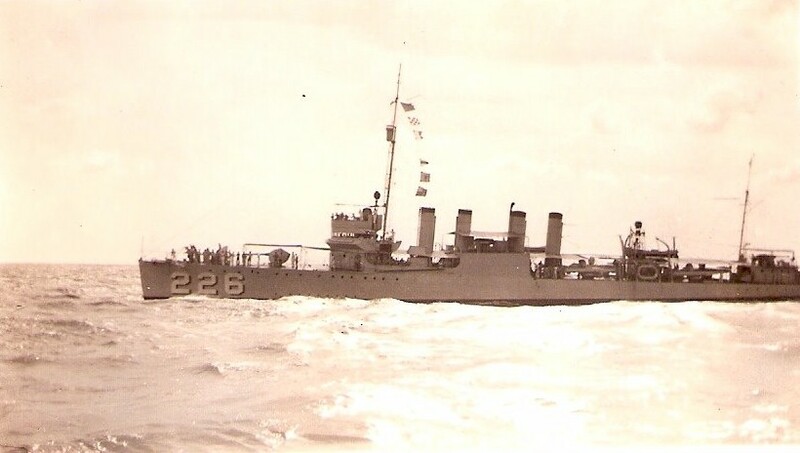 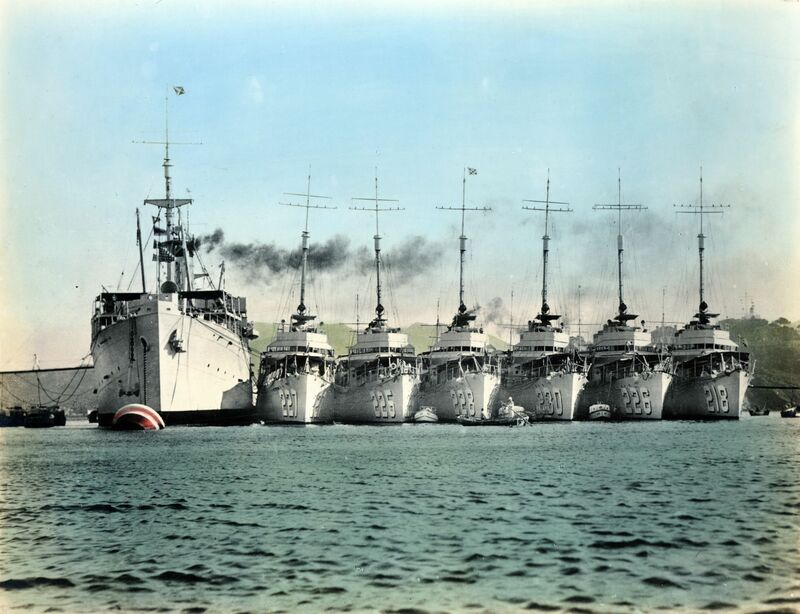 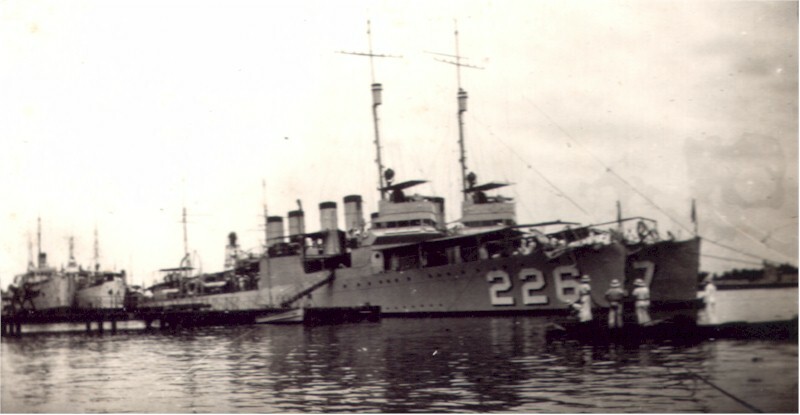 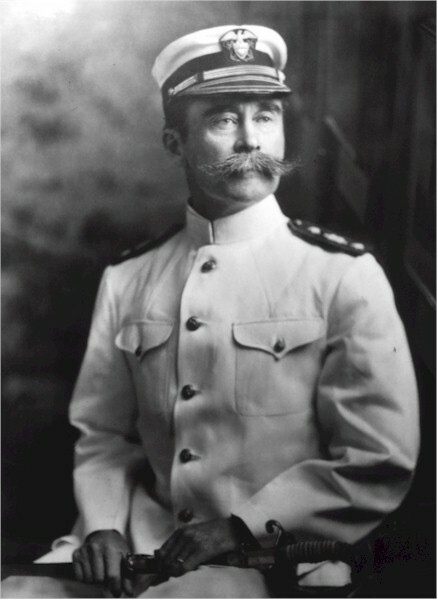 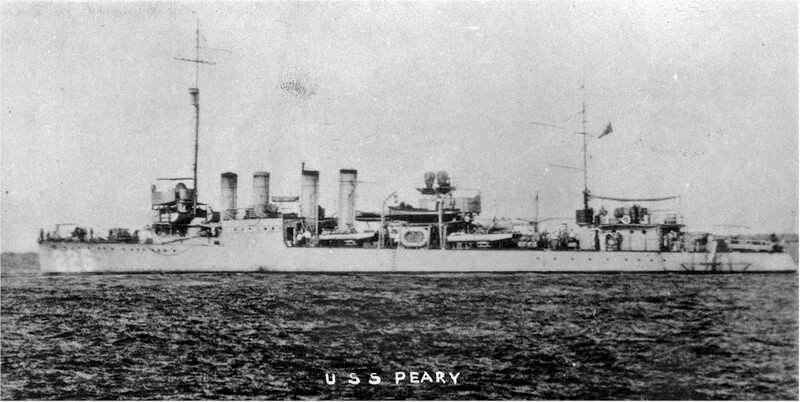 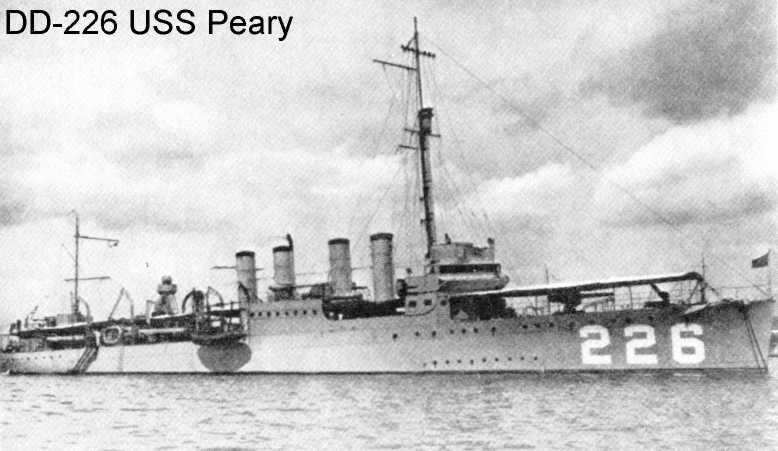 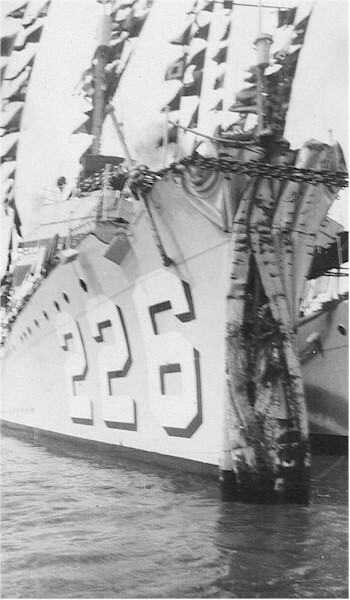 Collection of Rear Admiral Paulus P. Powell, USN. 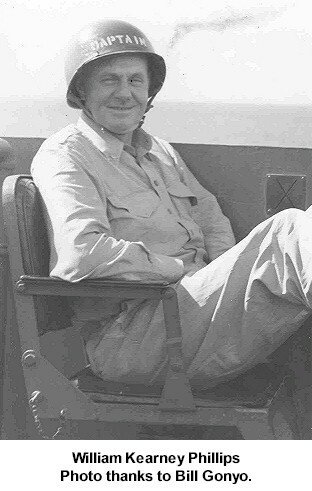 John N. Egeland, Jr.